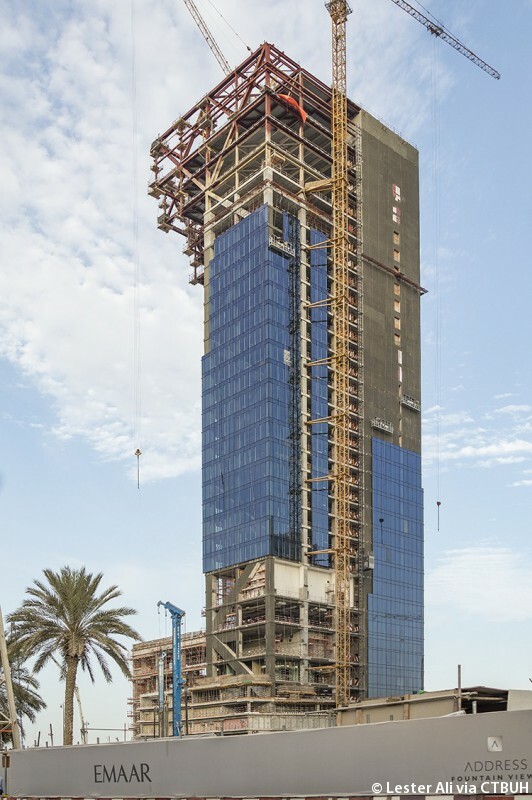 The dramatically cantilevered top section of the Mashreq Bank Headquarters is turning heads of all who travel near the Dubai Mall, even before the completion of construction. This section will contain the boardroom and ancillary meeting spaces of the bank, but the carved volume of the overall tower also assures that office units on either side of the tower will enjoy natural sunlight and protection from solar gain. On the 9th floor, atop the podium, a landscaped palm garden beckons to occupants of the common building cafeteria, more than 25 stories below the projecting boardroom. Attendees heard from the team executing this extraordinary design, and viewed the structural acrobatics up close. 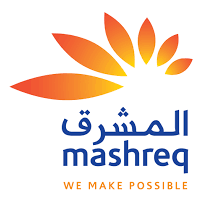 The 32-story-tall Mashreq Bank Headquarters, with its boldly cantilevered form, forms a prominent gateway to the Dubai Mall / Downtown Dubai area. 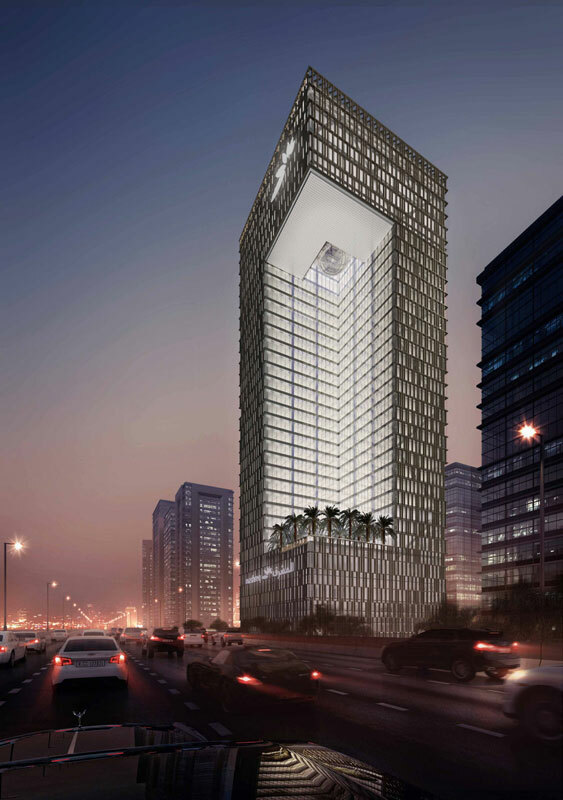 In contrast to the futuristic glass and steel towers of Dubai, this is a simple form clad in stone panels. 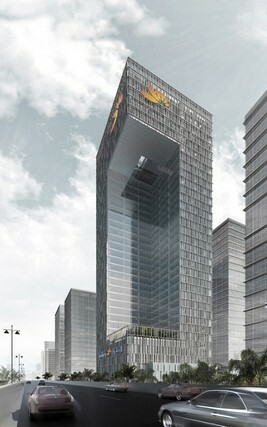 The L-shaped typical floor plate opens to the north, with its orientation allowing offices on both sides of the courtyard to have clear glazing protected from solar gain by the building itself. 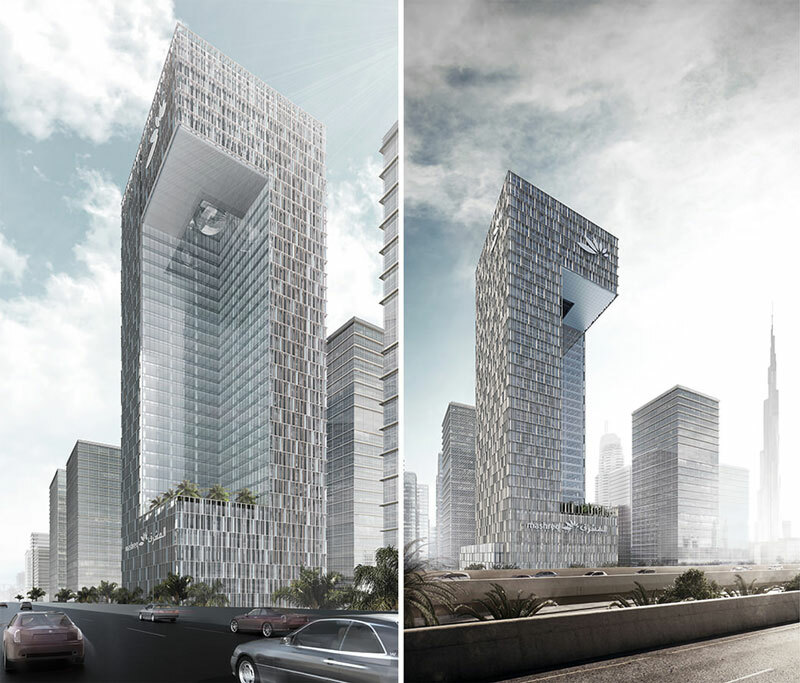 These facades allow panoramic views toward Sheikh Zayed Road.